This month’s newsletter contains information about IPSI’s planned activities at the IUCN World Conservation Congress coming up in September, the First Asian Conference on Biocultural Diversity, and a side event at TICAD VI, as well as a report of a recent training workshop in Thailand related to the “GEF-Satoyama Project”. We are also pleased to share an introduction of one of IPSI’s newest members, the Hualien District Agricultural Research and Extension Station (HDARES), and a recent IPSI case study from the Research Centre of the Slovenian Academy of Sciences and Art (ZRC SAZU). For the information of those who are planning far ahead, the next IPSI Global Conference is tentatively being planned to be held in early 2018. As always, we hope you will contact us to submit any new case studies or other information about your activities, or if you have any questions or comments. The IPSI Secretariat and many IPSI members are planning to take part in a number of events and activities at the IUCN World Conservation Congress (WCC) 2016, to be held from 1 to 10 September 2016 in Honolulu, United States of America. More information about the IUCN World Conservation Congress 2016 can be found on its website. The World Conservation Congress is a major meeting under the globally influential processes of IUCN, held every four years. IPSI members and the Secretariat have been involved with IUCN processes since the beginning of IPSI, and regularly attend conferences including this one and the World Parks Congress. This year’s WCC will consist of a “Members’ Assembly”, where IUCN members will gather to discuss decision-making processes within IUCN, and a “Forum”, which will bring together thousands of people involved with conservation and related topics. There will be a large number of workshops, posters and other events, including many organized or participated in by IPSI members. The IPSI Secretariat is still interested in hearing about any IPSI members that plan to attend and take part in the WCC. If you plan to attend, please contact the Secretariat and let us know about your planned activities, so that we can maximize the opportunities for collaboration among the IPSI community. A partial list of members’ activities at the WCC is available on the IPSI website here. IPSI member the United Nations University Institute for the Advanced Study of Sustainability Operating Unit Ishikawa-Kanazawa (UNU-IAS OUIK), in collaboration with UNESCO, the Secretariat of the Convention on Biological Diversity, Ishikawa Prefectural Government and Nanao City, are organizing the First Asian Conference on Biological Diversity, to be held in Nanao City, Ishikawa Prefecture, Japan from 27 to 29 October 2016. The aim of the conference is to establish an “Asian Biocultural Model” for the sustainable use of biocultural resources for community development, and researchers, practitioners and policy makers will assess the relationship between biological and cultural diversity as well as their conservation and use on a local level. The programme will consist of plenary sessions, thematic meetings and a field excursion on 29 October. Registration for the event is now open, until 6 October 2016. The deadline so submit an abstract is 31 August. For more information and to register, please visit the event website here. The United Nations University Institute for the Advanced Study of Sustainability (UNU-IAS), together with the University of Nairobi, The University of Tokyo, and Kenyatta University will organize a side event at the Sixth Tokyo International Conference on African Development (TICAD VI) on 25 August 2016, on “Enhancing Resilience against Climate and Ecosystem Changes in Sub-Saharan Africa through Utilizing Indigenous and Local Knowledge”, in Nairobi, Kenya. This side event will highlight recent research findings and best practices to enhance the resilience of different SEPLS in Africa in the face of climate and ecosystem changes at various scales, through combining indigenous and local knowledge with modern science and technologies. The new publication “Socio-ecological Production Landscapes and Seascapes (SEPLS) in Africa”, developed by UNU-IAS and The University of Tokyo building on the Satoyama Initiative Regional Workshop in Africa held in Ghana in August 2015, will be also presented during this side event. More information on this publication will be available on the IPSI website soon. More information on the side event is available on the UNU-IAS website here. 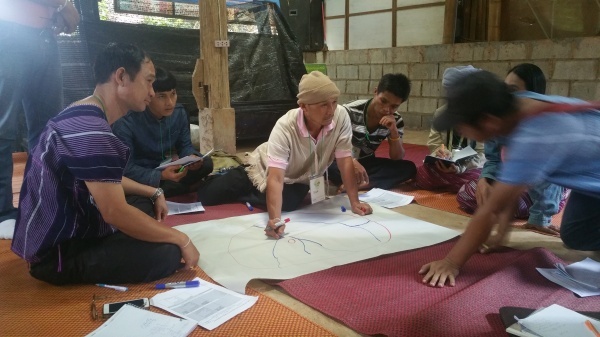 A training workshop was held from 25 to 27 July 2016 in Chiang Mai and the village of Khun Tae, in northern Thailand, to train participants as facilitators for resilience assessment using the “Indicators of Resilience in Socio-ecological Production Landscapes and Seascapes (SEPLS)”. The workshop was one part of the large-scale IPSI Collaborative Activity known as the “GEF-Satoyama Project“, with selected projects in three biodiversity hotspots – Indo-Burma, the Tropical Andes, and Madagascar and the Indian Ocean Islands. An Inception Meeting for the Indo-Burma segment of the project was also held on 25 July. Each of the selected projects will use the Indicators of Resilience as a part of their assessment and monitoring, and will carry out various SEPLS-related projects partly informed by their results. The Indicators of Resilience were also created as part of IPSI’s Collaborative Activities (please see here and here for more information). The workshop consisted of indoor sessions to learn about the Indicators and their use, and a practical element in Khun Tae, with participation by members of the local Karen indigenous communities. The training was administered by staff members from IPSI members Conservation International Japan, the Institute for Global Environmental Strategies (IGES), and the IPSI Secretariat at the United Nations University Institute for the Advanced Study of Sustainability (UNU-IAS). Participants expressed that the workshop was a success, with facilitators saying that they are ready to use the Indicators in their own work and community members coming away with some innovative ideas to ensure their resilience. HDARES is located in eastern Chinese Taipei, working with pollution-free agriculture environment. Its mission is to carry out advanced agricultural research and promote organic farming practices in Hualien and Yilan counties. Main tasks include improvements of cultivating and processing techniques for organic and economic crops, development of a new agrobiodiversity index and labels, research on applied biotechnology, prediction and prevention of crop disease and pests, disaster investigation, food and drug safety, soil fertilizer, plant nutrition and organic agriculture, as well as agricultural mechanical improvement and development. “Organic-LOHAS-agriculture”, “healthy and safe crops” and “indigenous agriculture” are the three important objectives for development. 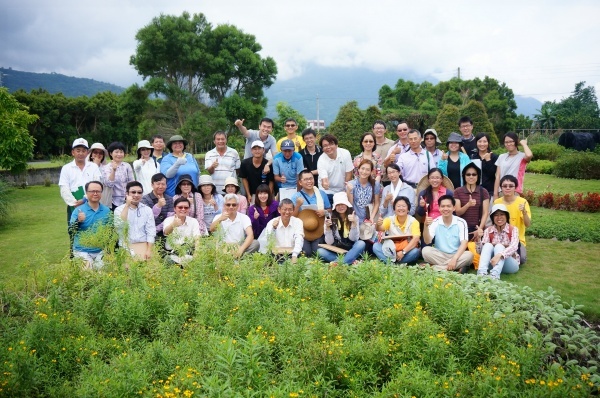 To enhance agricultural sustainability, HDARES has started to dedicate itself to research and promotion of ecoagriculture and the Satoyama Initiative in Chinese Taipei. For more information on HDARES, please see their website here. The IPSI Secretariat recently received a case study from partner organization the Research Centre of the Slovenian Academy of Sciences and Art (ZRC SAZU)’s Anton Melik Geographical Institute, on “The Common Mountain Pastures in The Velika Planina Plateau”. The case study is focused on common land and especially on mountain pastures as the most abundant manifestation of common land in Slovenia. The Velika Planina Plateau is the largest Slovenian mountain pasture, and is a good example of a responsible relationship to communal property. It shows that such property occupies an important place in the value system of grazing-rights holders, who are aware that the mountain pasture represents not merely economic value, but environmental and cultural value as well. The mountain pasture is part of their tradition, inseparably connected with the settlements that the grazing-rights holders come from.